Dr. Saamrat Kasina joined E3 in 2017 and focuses primarily on issues related to market design and planning. He also conducts sophisticated benefit-cost analysis at the distribution level, supporting utility initiatives related to grid modernization and distributed energy resources (DER) in the U.S. and abroad. 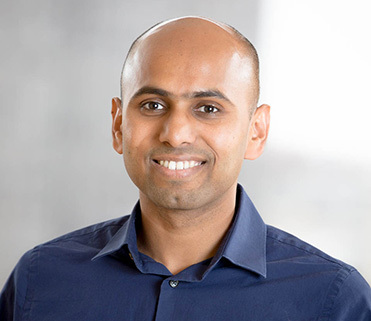 Saamrat’s work includes advising a Southwestern utility on joining the Western Energy Imbalance Market and developing Integrated Resource Planning models for several Community Choice Aggregators (CCAs) in California. He particularly enjoys helping clients make better decisions amid risk and uncertainty as the power sector transitions to a high-renewables future. Saamrat’s fascination with the complexity and interconnectedness of the electricity system drew him to E3, as did the challenge of balancing its engineering, economic, and environmental imperatives. He is especially gratified by capturing that system’s complexity mathematically, and by the level of thought and discipline required to develop accurate modeling tools. Saamrat’s interest in environmental economics and policy began when he interned at a hazardous waste landfill in India. In his free time, he likes to swim and run. As an undergraduate, Saamrat was on the swim team and volunteered for an education initiative in Northeastern India.